Our Health Visitors deal mainly with children under 5 and their families although they are available for support for any patient with disabilities. The health visiting team also have a remit for the over 75’s and will contact anyone who has recently been in hospital. The health visiting team can be contacted on 01224 846677, Monday-Friday 8.00am until 4.00pm and are based at the surgery. The answerphone is checked for messages several times each day. Health visitors are part of the NHS community health services. They are all qualified nurses with special training and experience in child health, health promotion and health education. They are there to listen to you and to help, advise and support you in all sorts of situations. Most people have heard of health visitors, and more than likely think they are people who only visit new babies and their families at home. While it’s true that this is part of their role, they are also there for everyone: Families with children, couples, single people, young people and older people. You will find your health visitor at Carden Medical Centre. 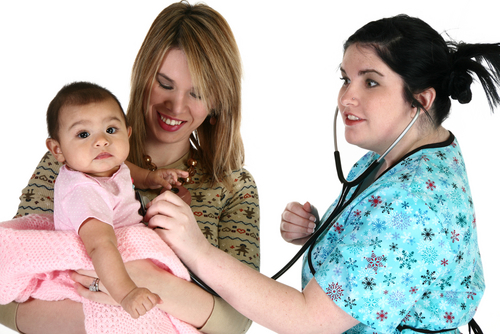 Health visitors are the most accessible health professionals in the community. A trip to the surgery, or a telephone call, will gain you access to your health visitor and if you wish they would visit you at home. All health visitors are subject to a code of professional conduct, which requires them to act at all times in your interest. Their aim is to help you lead as healthy a life as possible, both physically and mentally. Here are some typical situations where your health visitor can help you to achieve this aim. Bringing up children can be a challenge at the best of times. Every family with a child under five years has a named health visitor who can advise parents on everyday difficulties, immunisation programmes or any special problems and needs your child may have. The Health Visiting team follows the Universal Health Visiting Pathways in Scotland - this programme consists of 11 home visits to all families - 8 visits in the first year of life and 3 visits between 13 months and 4/5 years. The arrival of a new baby can be a very stressful time, when you may feel as if your life’s been turned upside down. Your health visitor is not just there for your baby. They can help the family with things like understanding employment and benefit rights, supporting new fathers, offering information on local support groups, leisure activities, ante-natal classes, mother & toddler groups, appropriate child care and giving support and advice to single parents. In today’s society, there are all sorts of pressures. There are many reasons why you may feel in need of help; job loss, bereavement, serious illness, unhappy or violent relationships, difficulties in coping with new customs and language, conflict with parents’ etc. Your health visitor can advise, listen, and if necessary, direct you to more specialist help. Growing older is a time to slow down and relax a little. It’s also a time when you may find you need some extra help. Your health visitor can help you to maintain your independence by giving you information about local activities, offering advice on benefits and social service assistance and by ensuring you get all the support you need so that you stay in control of your life. Caring for the elderly can be very rewarding but at the same time tiring and stressful. There are health visitors who specialise in working with older people and their carers who can arrange help from social services and other agencies, organise help if you are a carer and need a short-term break or put you in touch with other carers and voluntary organisations in your area. There are so many confusing messages in newspapers magazines and on TV about how to live a healthy life. Your health visitor can give you sensible, practical, professional advice and information on what you can do to stay healthy including special health promotion groups such as keep-fit, smoking cessation and stress management.